I’ve been thinking a lot about love lately. We all have loves, significant others, family and pets. When I packed everything and moved to Bloomington in July, I knew I liked the city. I had come to visit for my interview and had spent a few days here during Kelley Experience Weekend. Now, one semester later, I am officially ready to say the L-word to Bloomington. 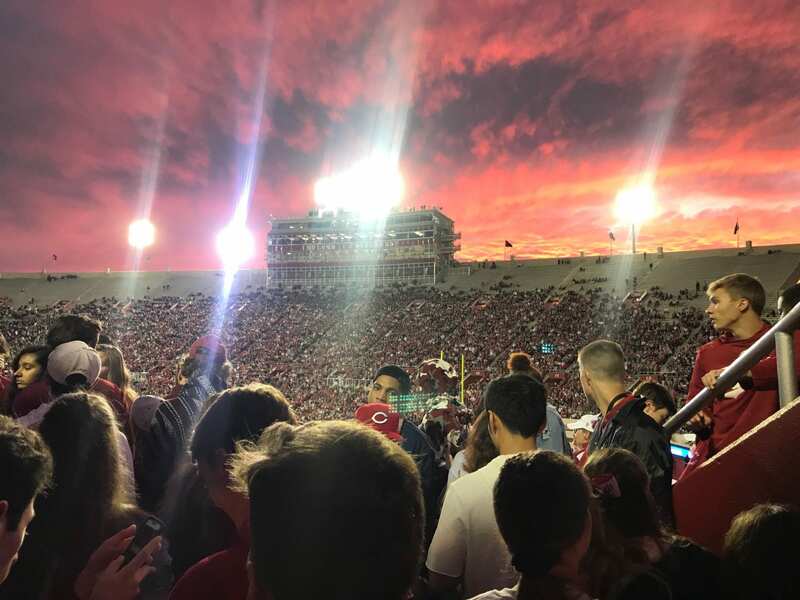 I love this city and am so happy with my choice to move my life to Bloomington for the Kelley Full-Time MBA Program. In honor of Valentine’s day, here are 5 things I love about Kelley. Everyone, especially my classmates, are all the nicest people. We have been here to support each other through Core, recruiting, and everything in between. While everyone here is extremely hard working, they also know when to let loose and have fun. Core, the first semester of business school, is a challenging time. We are busy with school work, recruiting and trying to get to know each other. 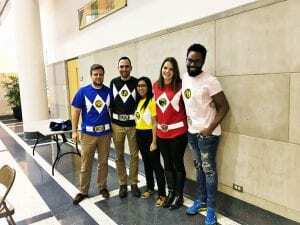 Luckily, we get to work with the same team of 5 people throughout the semester. On Halloween, my core team decided that it would be fun to “dress up” as power rangers to bring a little laughter to the day. Little things like this, make me love the city of Bloomington. I don’t know if it’s something in the water, or just the great job Kelley does recruiting, but my classmates make Bloomington a better place. 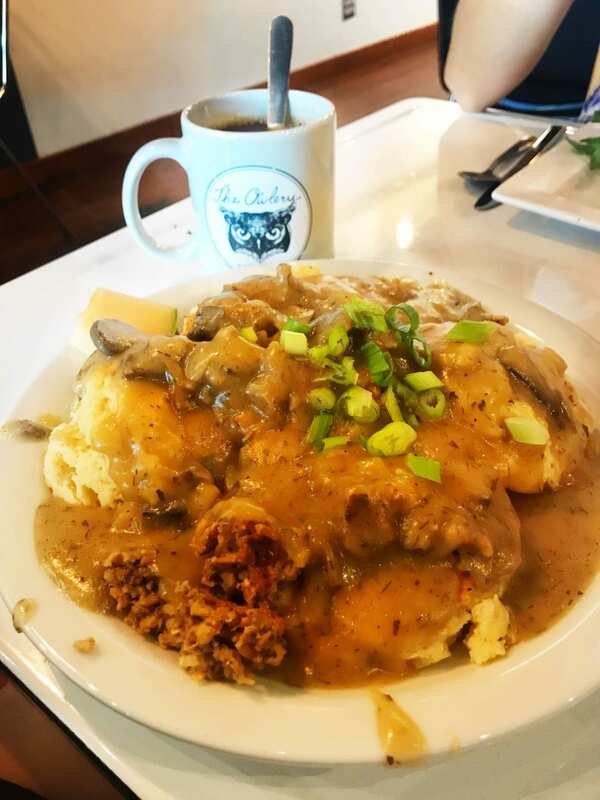 You wouldn’t think that a small town in Indiana could have such a wonderful and vibrant food scene—but then there is Bloomington. Since moving here, I’ve been able to try a variety of different foods, including authentic Chinese, delicious Indian cuisine, great vegan pizza, and so much more. Is going out to eat out of your budget? Don’t worry, Bloomington has some great grocery stores, including a large Kroger with everything you could ever want, a Lucky’s Market, and multiple Fresh Thyme Markets! Whether you want to study on campus or off, there is always an option that is right for you. 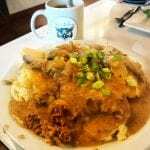 Bloomington has a large variety of coffee shops so you are never bored. One of my favorite places to study is Switchyard Brewing Company. 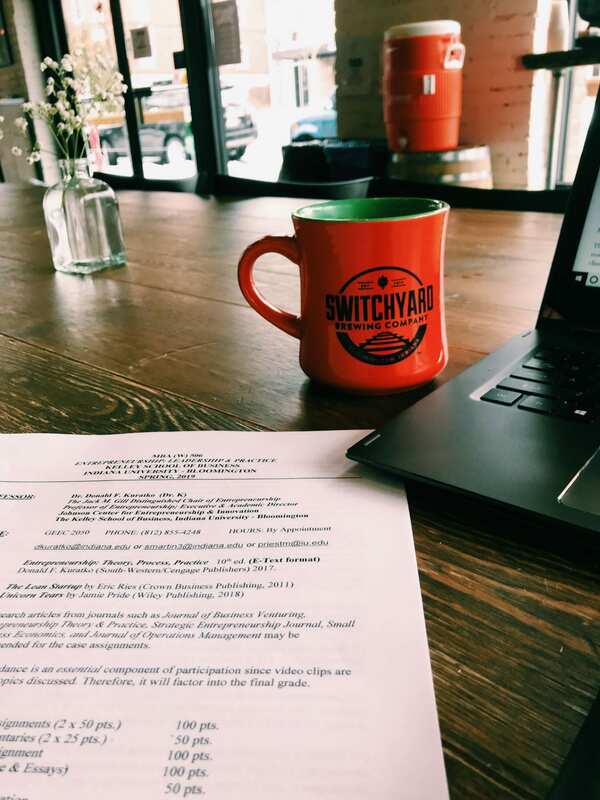 Don’t let the name deceive you, Switchyard may be a brewery, but they have fantastic bottomless coffee and large tables that are great for group meetings when you want to get off campus for a change! If I have other meetings at school, I can almost always find a comfy chair or breakout room to study in as well. However you like the study, you will be able to your spot in Bloomington. Another misconception about the state of Indiana is that it is just cornfields. 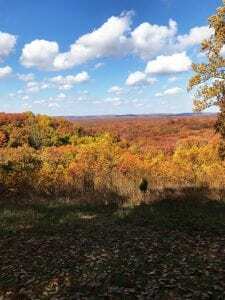 However, about 30 minutes outside of Bloomington is Brown County State Park. Brown County has a variety of hiking trails for all levels and is unbelievably beautiful in the Fall. When I want some time to get away from the town for a little bit, I know I don’t have to drive far to feel at one with nature. Hiking not your thing? There are a variety of lakes such as Lake Monroe and Lake Lemon, in the area that are great for taking out a pontoon or kayaking! As an Ohio State Undergraduate, I didn’t think anything could top my love of OSU game days. However, Bloomington Continues to deliver. Nothing stops the town from coming out to celebrate every game day and to cheer on the Hoosiers! Each Saturday the fields are full of families and students, grilling out, and getting ready for the game. Once basketball season starts, the real excitement enters the air. The atmosphere inside Assembly Hall is surreal, as everyone is constantly on their feet cheering for the Hoosiers. So, whether you prefer nature, food, sports or focusing on school, the town of Bloomington has a ton to offer. I’ve only been here for a little over 6 months and I can’t wait to see what other hidden gems I’m able to find during the rest of my time here. Bloomington, I love you, and I can’t wait to see how our relationships grows over the coming months.